Denver, CO – The multi-resort Ikon Pass has added Coronet Peak, The Remarkables, and Mt Hutt on New Zealand’s South Island as its newest partners, now offering access to nearly 82,000 acres at 38 mountain destinations across the planet. 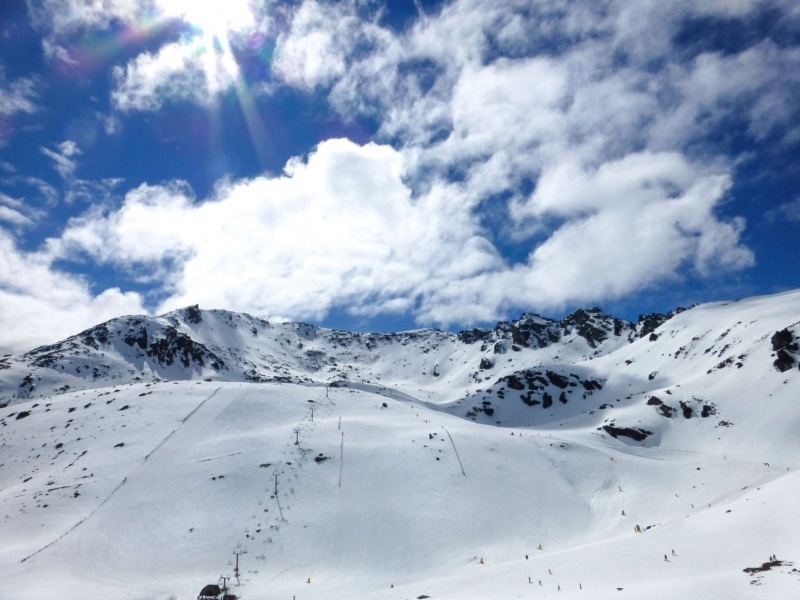 Coronet Peak, The Remarkables and Mt Hutt join Southern Hemisphere Ikon Pass partners Thredbo in Australia and Valle Nevado in Chile, offering pass holders year-round skiing and riding. Ikon Pass holders will have a combined seven days at Coronet Peak, The Remarkables and Mt Hutt on the Ikon Pass with no blackout dates, and combined five-day access on the Ikon Base Pass, also with no blackout dates. Coronet Peak, The Remarkables, and Mt Hutt’s 2019 winter season will run from June to September. Coronet Peak and The Remarkables are located in the popular resort area of Queenstown. Take in iconic views over Queenstown and Lake Wakatipu from the top of The Remarkables. Mt Hutt, located 70 miles from Christchurch, has won New Zealand’s Best Ski Resort from 2015-2017 at The World Ski Awards. Coronet Peak, The Remarkables and Mt Hutt join a group of industry leaders that make up the Ikon Pass – Alterra Mountain Company, Aspen Skiing Company, Boyne Resorts, POWDR, Jackson Hole Mountain Resort, Alta Ski Area, Snowbird, SkiBig3, Revelstoke Mountain Resort, Sugarbush Resort, Taos Ski Valley, Thredbo, Niseko United and Valle Nevado, which was added to the Ikon Pass earlier this month. In August, the Ikon Pass added The Summit at Snoqualmie in Washington, Cypress Mountain in British Columbia and Boyne Highlands and Boyne Mountain in Michigan to its roster, and tripled access to Loon Mountain in New Hampshire and Sugarloaf and Sunday River in Maine. Taos in New Mexico, and Brighton Resort and Solitude Mountain Resort in Utah, joined the Ikon Pass in August. The Ikon Pass is on sale at www.ikonpass.com.